We know that Nokia CEO Stephen Elop briefly entertained the idea of going Android, and was even in talks with the Andy Rubin gang about it, but they didn't cave giving Nokia any preferences over the competition, so the Finns went the Windows Phone way. Google's Eric Schmidt even said after the Nokia Windows Phone announcement that the Android door is still open should Nokia change its mind. An image of Nokia N9 running some test Android build emerged that might be a remnant of those happy green robot times when Nokia has been toying around with Android. It might as well be just a screenshot loaded on a Nokia N9, or a straight-out Photoshop job, but it seems rather rough around the edges, with botched-up resolutions as you would expect from a tryout. Plus, it is coming from the same source that leaked the Nokia N9 last month, before Stephen Elop's "confidential" leak yesterday, so it might have some street cred. In the meantime a video emerged of a Nokia N9 with root access, which paves the way for developers and the modding community to play around with custom ROM installations. Who knows, given the 1GHz Texas Instruments ARM-based chipset, the phone is certainly ripe for all sorts of Android shenanigans, even without Myriad's Alien Dalvik software. Here's to hoping we can see some fusion of both MeeGo and Android worlds on the Nokia N9 at a future point. who the hell wants an ugly meego s**t os on android? 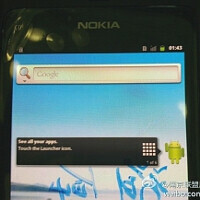 it's you nokia users who are dying to get android on your nokia phones lol. is that why you are being so proud? What the hell ??? are u comparing Meego to the s**tty Android ?? To begin with Android looks like Frankenstein, ugly, with dumb looking icons, and nothing to juice it up except for google apps, im not a big fan of apple but i will admit that apps on the iphone are much better than this garbage. Ok ill simplify Android for you: Ugly, tracking, info collecting, 80% garbage apps in the market, its like google wanted to rush its way with an OS thats open source because no one was in that spot but poor Symbian which even was more original and secure, not to mention better in offline apps and call quality. I really hate people who love a company, why dont u just seek wats better for u rather than thinking " oh this is the best based on one benefit and ill stick to watever they make". Just use wat ever serves u best, its not because u have it, its the best. There are people who have so many experiences like me, i have tried everything and for me Android is like the fake version of iOS, just because u can customize and a couple of dumb reasons people get it and its so bad in every way except benchmarks. Meego and the N9 looks and feels and is designed like nothing else, it looks stunning, the body is made not to lose its shape through years, camera is perfect, OS looks amazing and smooth, Nokia has best call quality and best offline navigation, even the OS is designed in a very smart way that will change hw u use ur device by making it single handed and super fast to navigate and simple + Very open source. Thats one powerful uppercut through android's jaw that knocks it off, maybe even kill it. 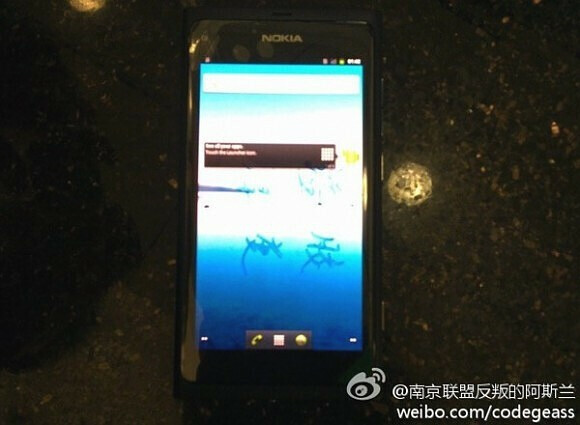 omg, now that is what nokia realy needs. a phone which can be rooted/flashed/disassembled and put together with rom which i prefer. the reason htc had a boom with HD2 phone is because it could be moded. Now finaly it;s nokias time to takeover if they play smart they WILL. do not cutoff the people that play around root and make better versions of operating systems. Just let them be and all will come into place. Go Nokia. I got mine today!!! And I LOOOOOOVE IT!!! !